Welcome to Pacific West Gymnastics! 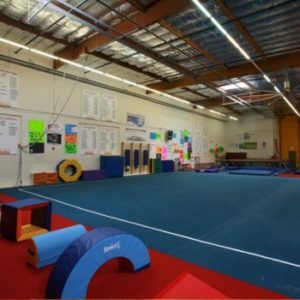 Pacific West Gymnastics, with locations in Union City and Fremont, is a sporting facility that is home to our Wiggle Worm Tumble Tots Preschool, Boys and Girls Recreational Gymnastics, Trampoline & Tumbling, Dance, Tae Kwon Do and Girls Competitive Team Programs. Both gyms are padded throughout and offer all the latest matting and equipment for the safest and newest sporting facility in the Tri-City area. Our Union City location includes equipment for all Men’s and Women’s events, in addition to 2 in-ground pits filled with foam, a 40 foot long Tumble-Track, trampoline, and more. Our Tae Kwon Do classes are held in our bright and spacious facilities on a spring padded floor. Dance classes take place in our specially designated dance room, featuring floor to ceiling mirrors, and full length ballet barré. Our Fremont location, featuring all new equipment, is ideal for our Wiggle Worm Tumble Tots, Boys and Girls Recreational, Trampoline & Tumbling Programs. We would love to answer any of your questions. Get in touch with us!